Cross the Sydney Harbour Bridge. Views of the Hawkesbury River. Taste wine & cheese at Hope Estate. Enjoy a wood-fired pizza lunch. Visit Savannah Estate winery. 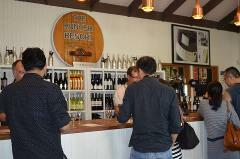 Shop for chocolates, wine & produce in the quaint Hunter Valley Village.